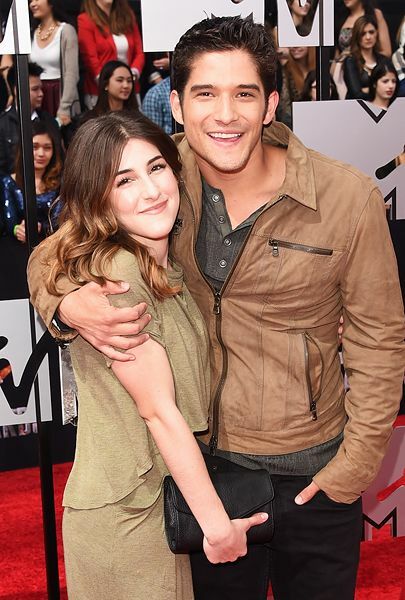 Tyler Posey of MTV's 'Teen Wolf' and his fiancé Seana Gorlick photographed on the red carpet at the 2014 MTV Movie Awards in Los Angeles. Zendaya photographed on the red carpet at the 2014 MTV Movie Awards in Los Angeles. Bella Thorne photographed on the red carpet at the 2014 MTV Movie Awards in Los Angeles. 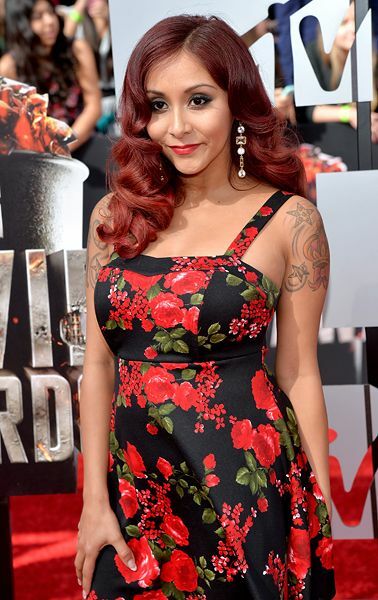 Nicole 'Snooki' Polizzi of MTV's 'Snooki & JWOWW' photographed on the red carpet at the 2014 MTV Movie Awards in Los Angeles. 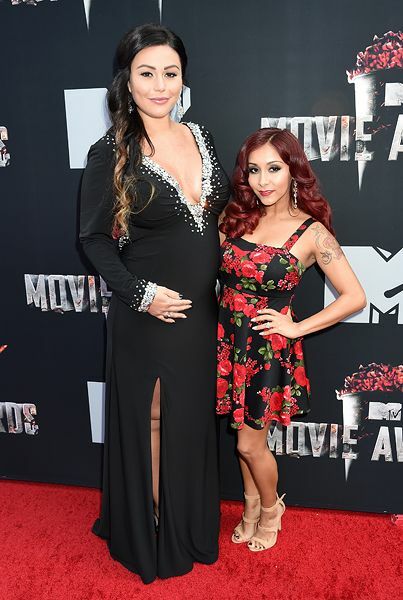 Nicole 'Snooki' Polizzi and Jenni 'JWOWW' Farley of MTV's 'Snooki & JWOWW' photographed on the red carpet at the 2014 MTV Movie Awards in Los Angeles. 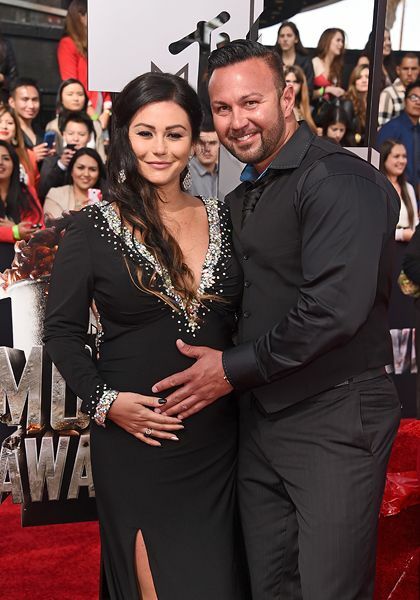 Jenni 'JWOWW' Farley and Roger Matthews of MTV's 'Snooki & JWOWW' photographed on the red carpet at the 2014 MTV Movie Awards in Los Angeles. Jenni 'JWOWW' Farley of MTV's 'Snooki & JWOWW' photographed on the red carpet at the 2014 MTV Movie Awards in Los Angeles. Shailene Woodley photographed on the red carpet at the 2014 MTV Movie Awards in Los Angeles. Chrissy Teigen photographed on the red carpet at the 2014 MTV Movie Awards in Los Angeles. Debby Ryan photographed on the red carpet at the 2014 MTV Movie Awards in Los Angeles. Ellie Goulding photographed on the red carpet at the 2014 MTV Movie Awards in Los Angeles. 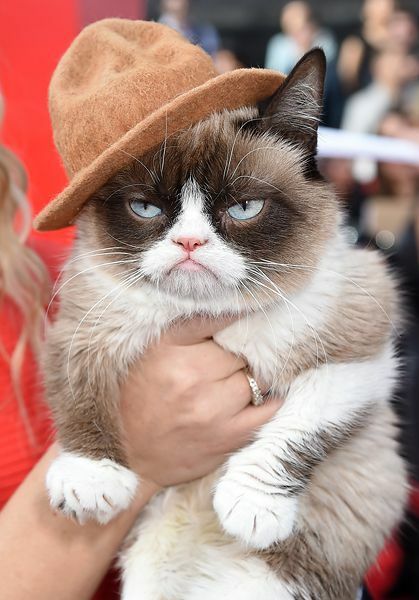 Grumpy Cat photographed on the red carpet at the 2014 MTV Movie Awards in Los Angeles. Iggy Azalea photographed on the red carpet at the 2014 MTV Movie Awards in Los Angeles. 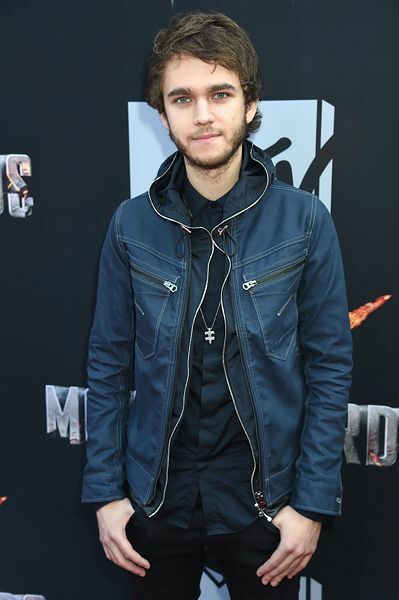 Zedd photographed on the red carpet at the 2014 MTV Movie Awards in Los Angeles. Greer Grammer of MTV's 'Awkward.' 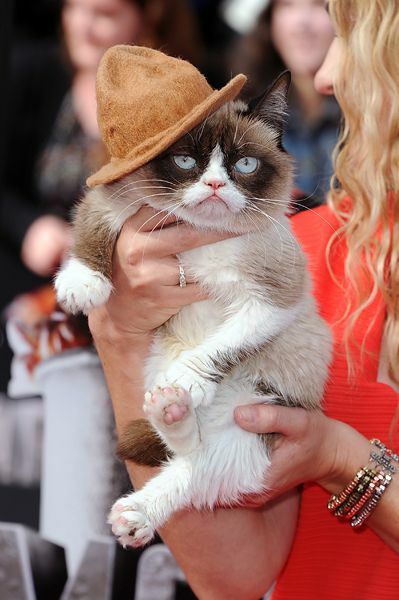 photographed on the red carpet at the 2014 MTV Movie Awards in Los Angeles. 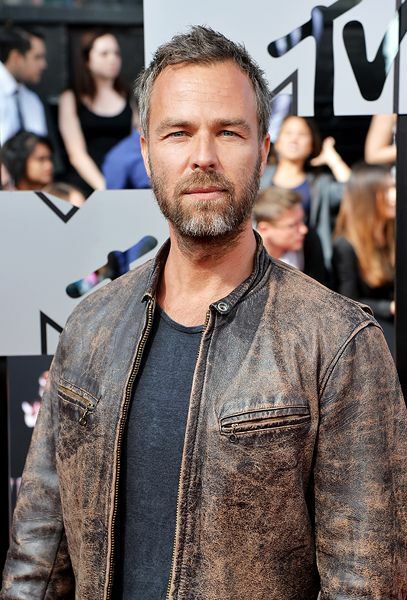 J.R. Bourne of MTV's 'Teen Wolf' photographed on the red carpet at the 2014 MTV Movie Awards in Los Angeles. Judd Apatow and Leslie Mann with their kids photographed on the red carpet at the 2014 MTV Movie Awards in Los Angeles. Leslie Mann photographed on the red carpet at the 2014 MTV Movie Awards in Los Angeles. 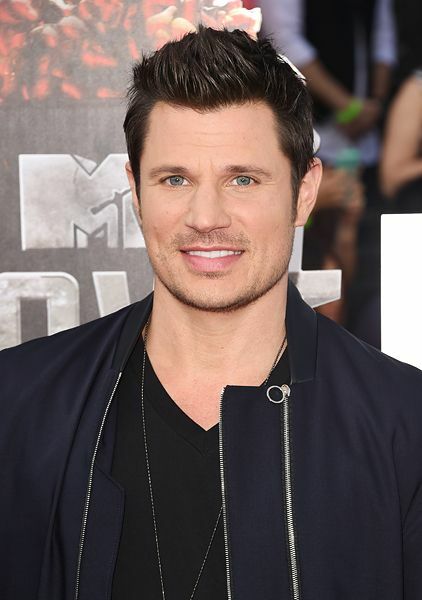 Nick Lachey photographed on the red carpet at the 2014 MTV Movie Awards in Los Angeles. Pia Mia photographed on the red carpet at the 2014 MTV Movie Awards in Los Angeles. Tyler Hoechlin of MTV's 'Teen Wolf' photographed on the red carpet at the 2014 MTV Movie Awards in Los Angeles. Conan O'Brien and wife Liza Powel photographed on the red carpet at the 2014 MTV Movie Awards in Los Angeles. Dave Franco photographed on the red carpet at the 2014 MTV Movie Awards in Los Angeles. 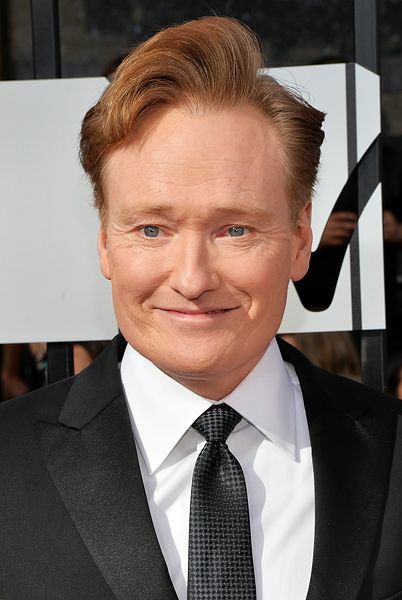 Conan O'Brien photographed on the red carpet at the 2014 MTV Movie Awards in Los Angeles. 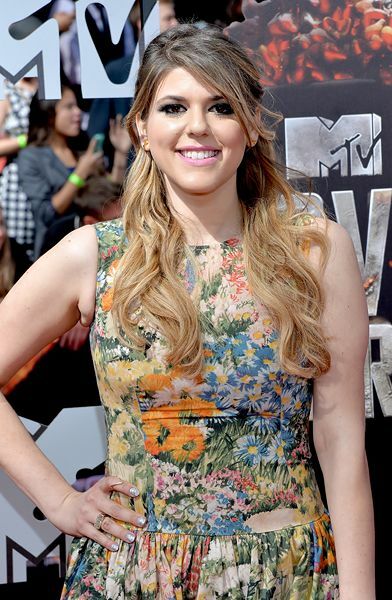 Molly Tarlov of MTV's 'Awkward.' photographed on the red carpet at the 2014 MTV Movie Awards in Los Angeles. Nicki Minaj photographed on the red carpet at the 2014 MTV Movie Awards in Los Angeles. Nicki Minaj on the red carpet at the 2014 MTV Movie Awards in Los Angeles. Shailene Woodley and Ansel Elgort photographed on the red carpet at the 2014 MTV Movie Awards in Los Angeles. 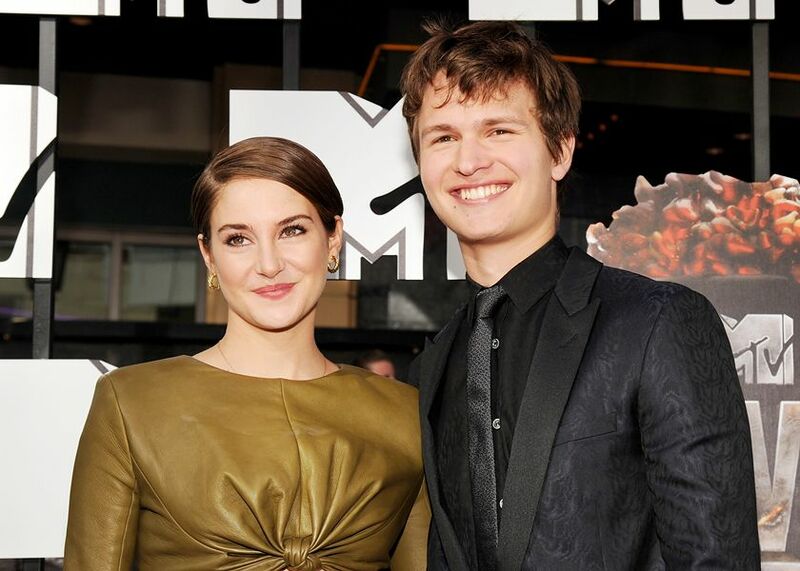 Shailene Woodley and Ansel Elgort on the red carpet at the 2014 MTV Movie Awards in Los Angeles. 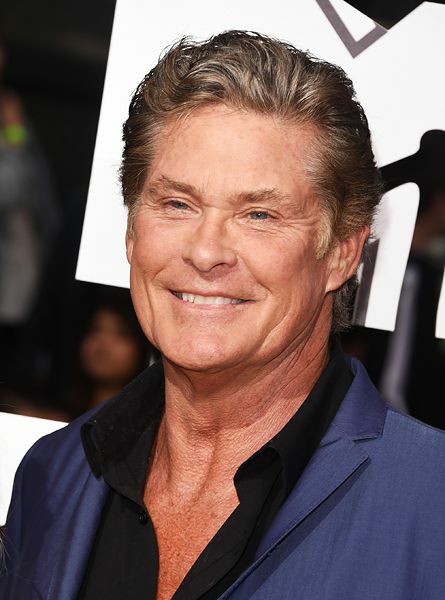 David Hasselhoff on the red carpet at the 2014 MTV Movie Awards in Los Angeles. Rita Ora on the red carpet at the 2014 MTV Movie Awards in Los Angeles. Victoria Justice on the red carpet at the 2014 MTV Movie Awards in Los Angeles. 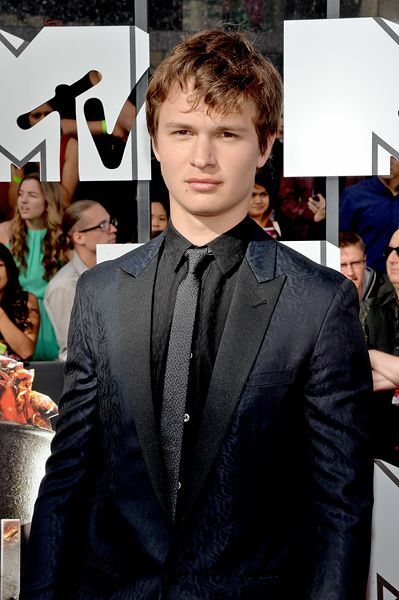 Ansel Elgort photographed on the red carpet at the 2014 MTV Movie Awards in Los Angeles. 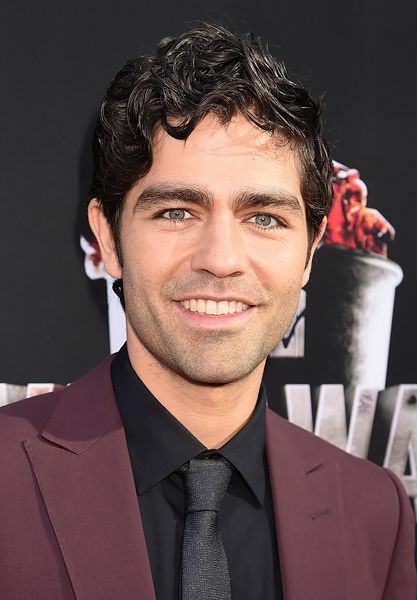 Adrian Grenier photographed on the red carpet at the 2014 MTV Movie Awards in Los Angeles. 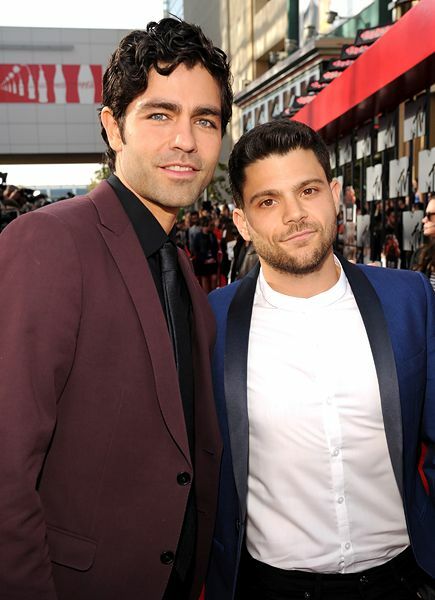 Adrian Grenier and Jerry Ferrara on the red carpet at the 2014 MTV Movie Awards in Los Angeles. Rita Ora photographed on the red carpet at the 2014 MTV Movie Awards in Los Angeles. Desi Lydic of MTV's 'Awkward.' 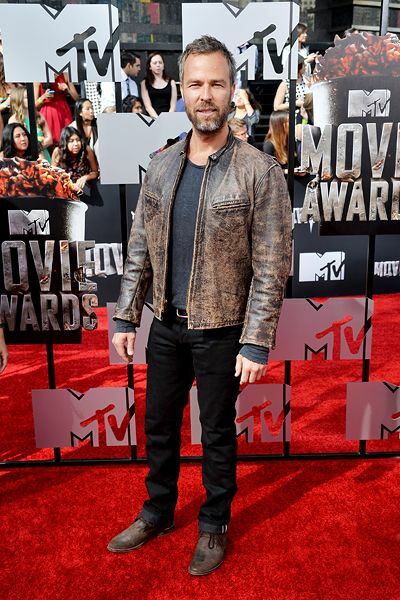 photographed on the red carpet at the 2014 MTV Movie Awards in Los Angeles. Jessica Alba photographed on the red carpet at the 2014 MTV Movie Awards in Los Angeles. 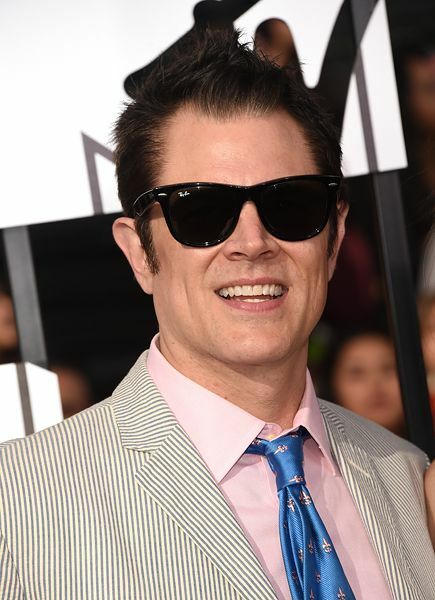 Johnny Knoxville of MTV's 'Jackass' photographed on the red carpet at the 2014 MTV Movie Awards in Los Angeles. 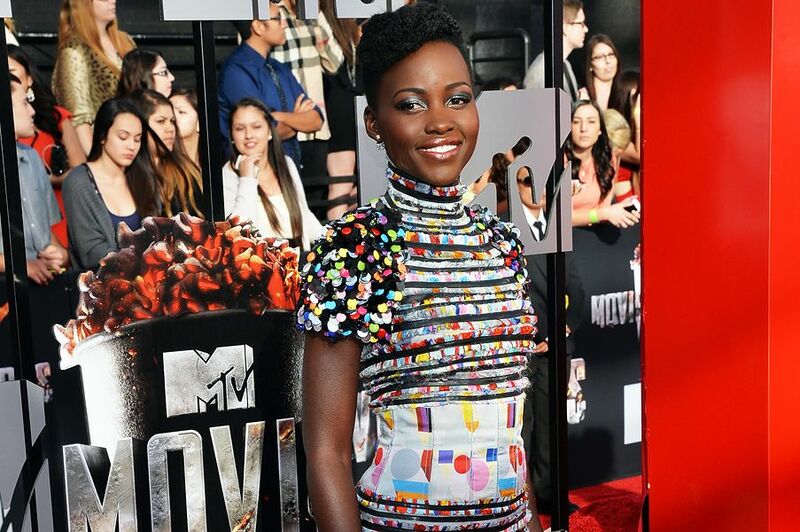 Lupita Nyong'o photographed on the red carpet at the 2014 MTV Movie Awards in Los Angeles. Rihanna photographed on the red carpet at the 2014 MTV Movie Awards in Los Angeles. 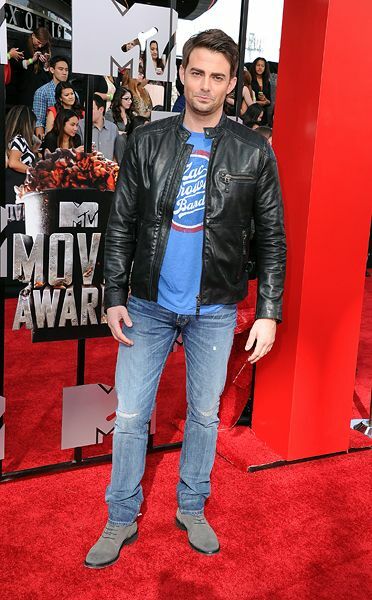 Miles Teller photographed on the red carpet at the 2014 MTV Movie Awards in Los Angeles. 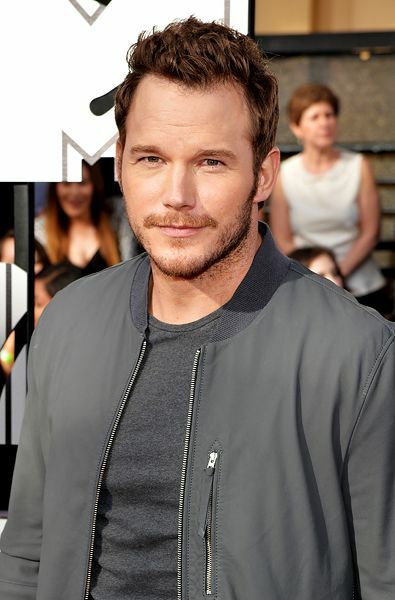 Chris Pratt photographed on the red carpet at the 2014 MTV Movie Awards in Los Angeles. Victoria Justice photographed on the red carpet at the 2014 MTV Movie Awards in Los Angeles. 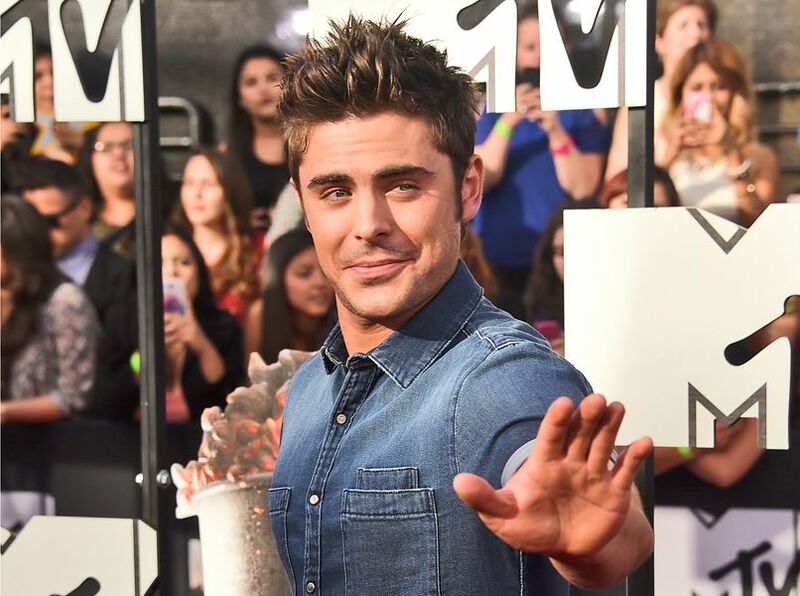 Zac Efron photographed on the red carpet at the 2014 MTV Movie Awards in Los Angeles. 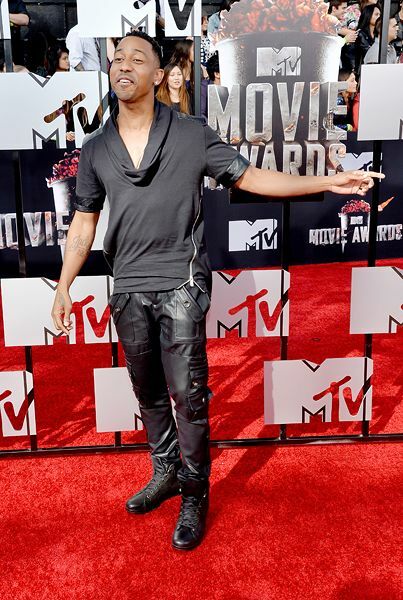 Brandon T. Jackson photographed on the red carpet at the 2014 MTV Movie Awards in Los Angeles. Briana Evigan photographed on the red carpet at the 2014 MTV Movie Awards in Los Angeles. Dylan O'Brien of MTV's 'Teen Wolf' photographed on the red carpet at the 2014 MTV Movie Awards in Los Angeles. Jill Wagner of MTV's 'Teen Wolf' photographed on the red carpet at the 2014 MTV Movie Awards in Los Angeles. Kat Graham photographed on the red carpet at the 2014 MTV Movie Awards in Los Angeles. Katie Stevens of MTV's 'Faking It' photographed on the red carpet at the 2014 MTV Movie Awards in Los Angeles. 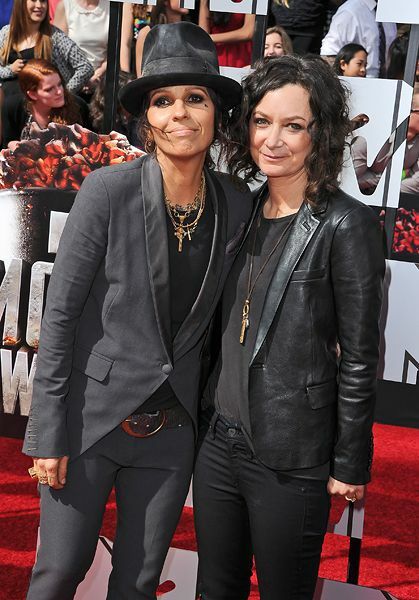 Newlyweds Sara Gilbert and Linda Perry photographed on the red carpet at the 2014 MTV Movie Awards in Los Angeles. 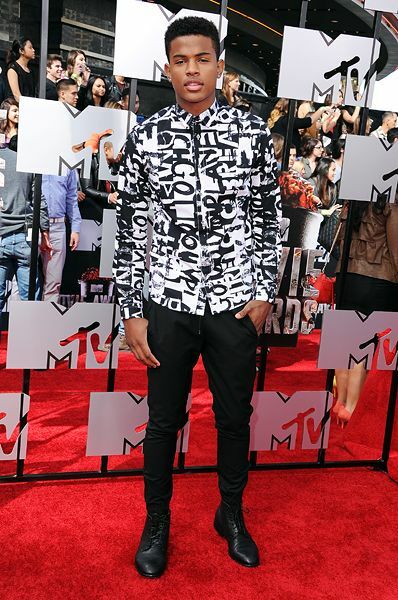 Trevor Jackson photographed on the red carpet at the 2014 MTV Movie Awards in Los Angeles. 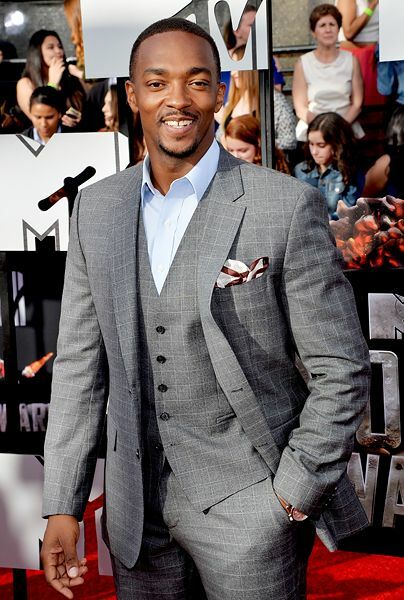 Anthony Mackie photographed on the red carpet at the 2014 MTV Movie Awards in Los Angeles. Brian Littrell and A.J. 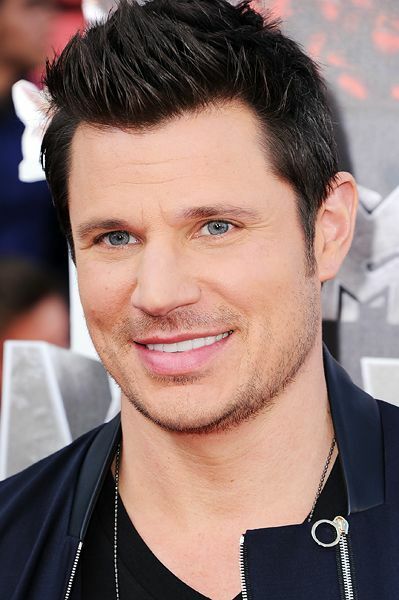 McLean of the Backstreet Boys with their wives photographed on the red carpet at the 2014 MTV Movie Awards in Los Angeles. Sam Claflin and Laura Haddock photographed on the red carpet at the 2014 MTV Movie Awards in Los Angeles. Sam Claflin photographed on the red carpet at the 2014 MTV Movie Awards in Los Angeles. 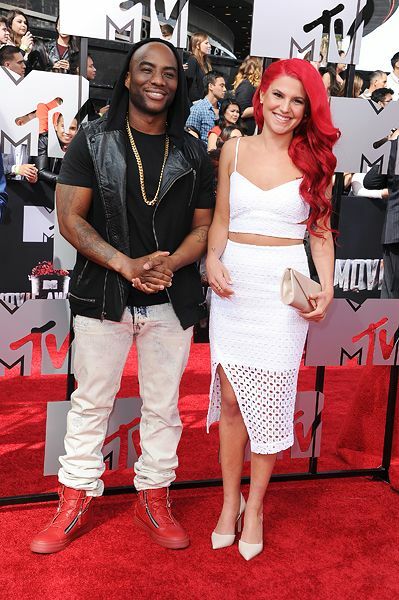 Charlamagne Tha God of MTV2's 'Charlamagne & Friends' and Carly Aquilino of MTV's 'Girl Code' photographed on the red carpet at the 2014 MTV Movie Awards in Los Angeles. Karina Smirnoff photographed on the red carpet at the 2014 MTV Movie Awards in Los Angeles. Lenay Dunn of MTV's '10 on Top' photographed on the red carpet at the 2014 MTV Movie Awards in Los Angeles. Rita Volk of MTV's 'Faking It' photographed on the red carpet at the 2014 MTV Movie Awards in Los Angeles. 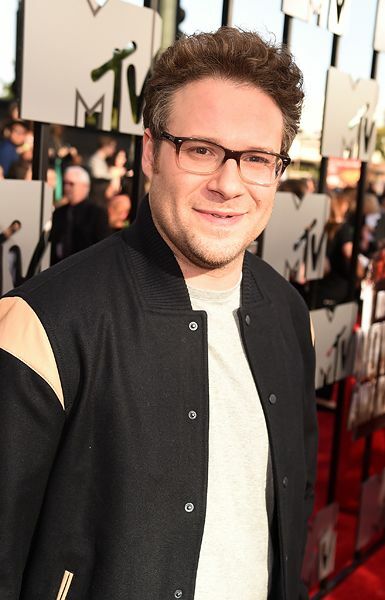 Seth Rogen photographed on the red carpet at the 2014 MTV Movie Awards in Los Angeles. Arden Cho of MTV's 'Teen Wolf' photographed on the red carpet at the 2014 MTV Movie Awards in Los Angeles. Liam James photographed on the red carpet at the 2014 MTV Movie Awards in Los Angeles. 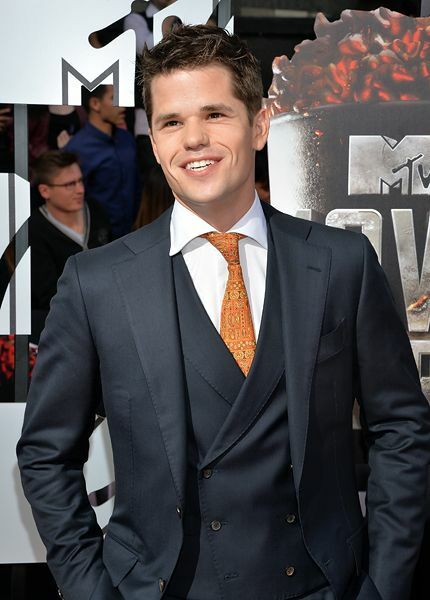 Max Carver of MTV's 'Teen Wolf' photographed on the red carpet at the 2014 MTV Movie Awards in Los Angeles. Brett Davern of MTV's 'Awkward.' photographed on the red carpet at the 2014 MTV Movie Awards in Los Angeles. Ice Cube and wife Kimberly Woodruff photographed on the red carpet at the 2014 MTV Movie Awards in Los Angeles. Jonathan Bennett photographed on the red carpet at the 2014 MTV Movie Awards in Los Angeles. 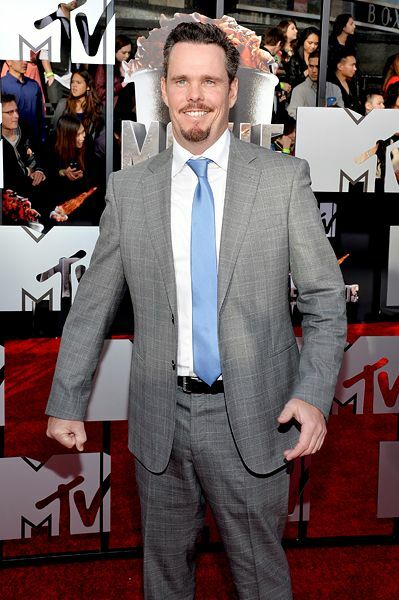 Kevin Dillon photographed on the red carpet at the 2014 MTV Movie Awards in Los Angeles. Will Poulter photographed on the red carpet at the 2014 MTV Movie Awards in Los Angeles. Amber Stevens photographed on the red carpet at the 2014 MTV Movie Awards in Los Angeles. Bailey Buntain photographed on the red carpet at the 2014 MTV Movie Awards in Los Angeles. 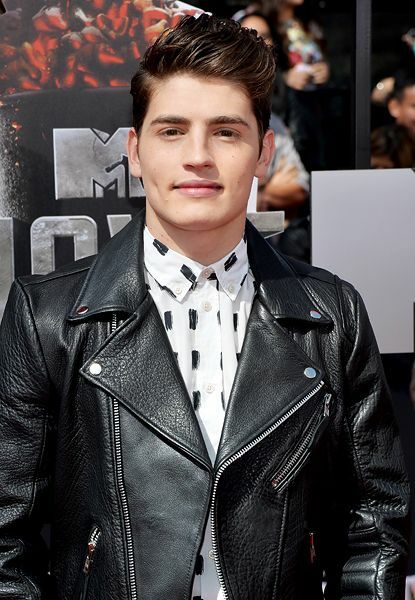 Gregg Sulkin of MTV's 'Faking It' photographed on the red carpet at the 2014 MTV Movie Awards in Los Angeles. Holland Roden of MTV's 'Teen Wolf' photographed on the red carpet at the 2014 MTV Movie Awards in Los Angeles. 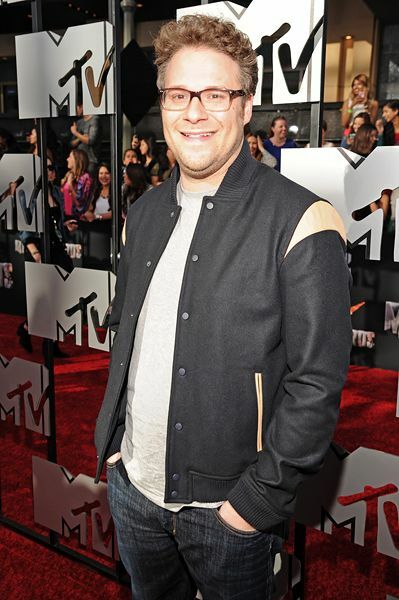 Jerry Ferrara photographed on the red carpet at the 2014 MTV Movie Awards in Los Angeles. 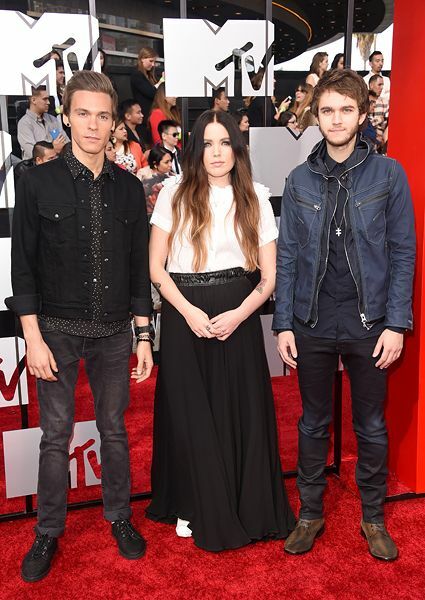 Matthew Koma, Miriam Bryant and Zedd photographed on the red carpet at the 2014 MTV Movie Awards in Los Angeles. 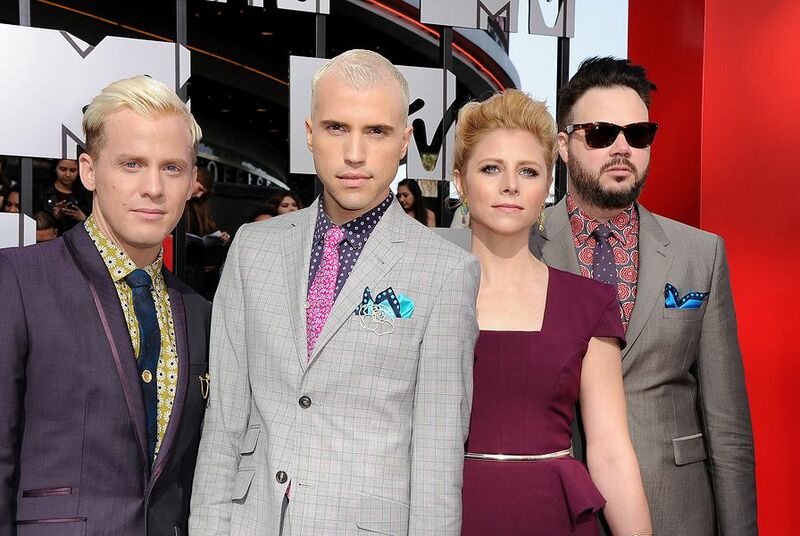 Neon Trees photographed on the red carpet at the 2014 MTV Movie Awards in Los Angeles. 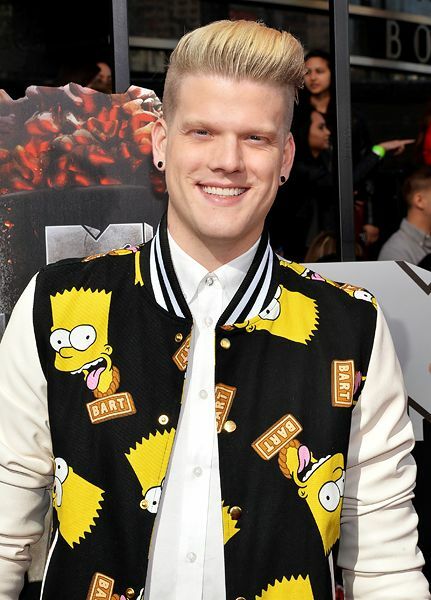 Scott Hoying photographed on the red carpet at the 2014 MTV Movie Awards in Los Angeles. Judd Apatow and Leslie Mann photographed on the red carpet at the 2014 MTV Movie Awards in Los Angeles. Adam DeVine and Kelley Jakle photographed on the red carpet at the 2014 MTV Movie Awards in Los Angeles. 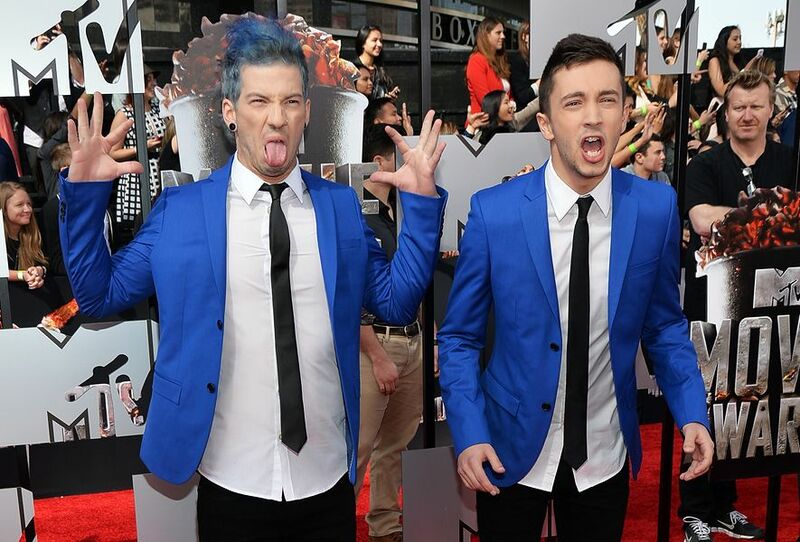 Josh Dun and Tyler Joseph of Twenty One Pilots photographed on the red carpet at the 2014 MTV Movie Awards in Los Angeles. Nikki DeLoach photographed on the red carpet at the 2014 MTV Movie Awards in Los Angeles.